Clark USAF was cleared for take-off at 0930 June 10, 2017, at his home. He was surrounded by friends, dogs and roses to the end. His family wishes to thank caregiver Lisa Bower for all she did for Don and Volunteer Hospice of Clallam County for their help in preparing Don for his final mission. Don was born in Colfax, Iowa, in 1923. In 1927, the family crossed the country in a Model T headed for California. Don lived in Mapleton, Oregon, Seattle and Juneau, until he left home at 14 to live in a tent outside Homer, Alaska. Don attended Aircraft Mechanics School in California before volunteering for the Army Air Corps. He married Maxine Crane in Lemore, California, in 1942. Nicknamed the Alaskan Kid, Don was in France one week after D-Day, flying P-47 Thunderbolts in support of Patton's Third Army. Don received the news of the birth of his son, Bill, while in France. When the war in Europe ended, Don volunteered for the Pacific Theater, but the conflict was over before he shipped out. After the war, Don was a firefighter in California until reenlisting in 1950. During the Vietnam War, Don flew the HU-16 Albatross for ocean search and rescue. 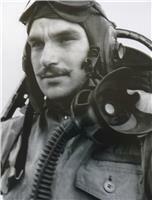 He served 26 years in the Air Force, retiring in 1967. That same year Don began a 22-year career flying the N 17W B-17 tanker, fighting forest fires and fire ants. In 1970, Don flew five B-17s from Oakland to Hawaii for "Tora! Tora! Tora!" where he made the film's memorable one-wheel B-17 landing. In 1989, Don flew his B-17 from Seattle to England to fly in the movie "Memphis Belle." After the film, he flew her to Seattle and participated in her restoration for the Museum of Flight. Don was a larger-than-life character and a consummate storyteller. He was fiercely independent but generous to a fault. Though he was fond of saying "If you don't like it, there's the door," Don was a people person who made friends wherever he went. He also liked to say "I'm no better than anybody else" but we didn't believe that either. 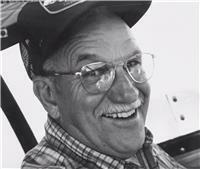 He loved his buddies, airplanes, music, old cars and dogs. He will be missed by all but never forgotten. He leaves a son, Robert (Karen) Clark of Apache Junction, Arizona; two granddaughters, a grandson and nine great-grandchildren. His son Bill disappeared flying a helicopter out of Valdez in 1970. The family requests that memorials be made to the Olympic Peninsula Humane Society or to Volunteer Hospice of Clallam County.